The cupola of St. Peter in Rome seen at night through the famous key-hole in the locked gate of the Maltese Gardens on the Aventine.. Within the gardens, the hedges along the path leading up to the gate have been pruned to the shape of the key-hole, so that the visitor´s vision is foccused on the basilica´s cupola. 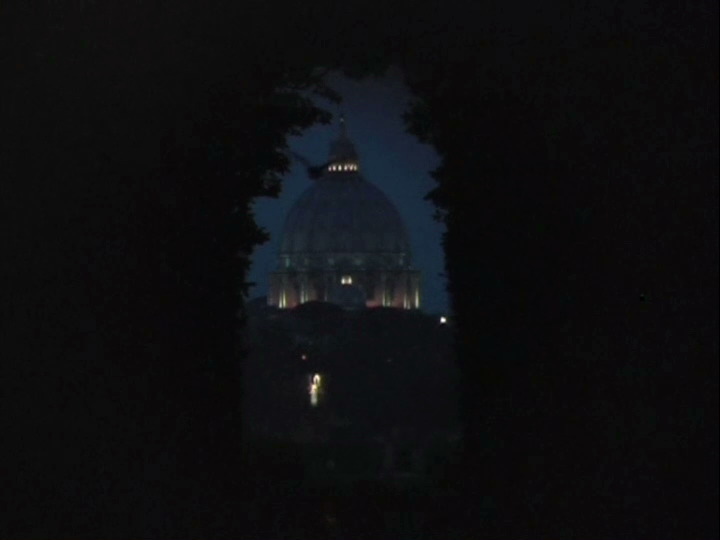 An owl flies from the Vatican directly at the on-looker and lands on the hedge over the gate. The tolling bells heard throughout the film ring from San Anselmo, a church near the Maltese gardens.